If you want to become a better colorist this year then learning from some of the world’s best colorists would definitely be a smart idea. In this round up of of colour grading craft resources there are some great insights to be found from many working professionals. This advert for Lacoste, The Big Leap, is graded by Jean-Clément Soret, a multi-award winning colorist who has been in the business for 26 years, 17 of which he has spent grading at MPC. Dan Moran selected several of Jean’s commercials for his run down of the best commercials in 2014 over on Mixing Light.com. It’s always interesting to see what colour grading work other colorists admire. In this video from BVE you can hear Jean Clément talk through his working process and shot by shot breakdowns of some of his feature film grading work in this 35 minute presentation. His grading system of choice? Baselight. 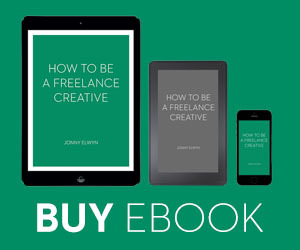 Jean is interviewed by Little Black Book on his craft and creativity. LBB> On a ‘typical’ commercial, what’s your starting point for finding the right ‘look’? JCS> Usually I try to give a true representation of what the Director of Photography has shot. And then I see what they’ve actually got and then I gather a lot of opinions around me and I try to synthesise all of that to bring us to a starting point. Then we have a bit of a debate over how we can build on that. That gives us a good base to start with and it means that no one is surprised by the end of the process. Filmlight, the makers of the Baselight colour grading system also have an interview with Jean-Clément as part of their extensive ‘Meet The Colorist’ series. 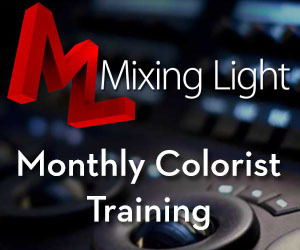 What advice would you give to someone looking to start a career as a colorist? I regularly train or mentor beginners and feel that MPC is a fantastic place to learn, mostly due to its international reputation. We value the quality and the attention to detail. To someone looking to start a career as a colourist I’d say that it is important to forge your experience in an enjoyable place, and to get as much feedback from experienced colourists as you can. Birdman is lined up for plenty of awards, and it’s one-shot structure makes it all the more interesting. In this short clip from Variety you can hear Technicolor’s colorist Steve Scott. 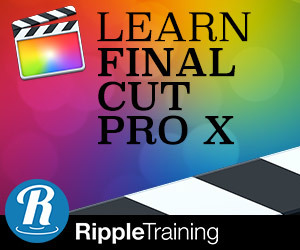 At just under 4 minutes it’s still got plenty of insights in it, like the importance of being able to track 100’s of windows simultaneously and hide all your transitions in the films many whip pans. What’s most upsetting about this 20 minute two part interview with one of the world’s best colorists, Stephen Nakamura, whose 93 feature film credits are a hit list of Hollywood’s output over the past few decades, is that the interviewer has not a great idea who he is, or the intricacies of colour grading but still well worth a listen for the great answers from Stephen. In this (non-embeddable) inside look at Company 3 (where Nakamura and some of the world’s other best colorists work) there are some great choice quotes from Stephen about using color correction to tell the story, to create a brand and define an era. Another source of insights from Company 3’s top colorists is the Blackmagic Design DaVinci Resolve page which has these three interviews on it. Well worth a watch. UPDATE – Kylee Wall from Creative Cow has 5 questions with Stephen Nakamura on his work on Ridley Scott’s Exodus Gods and Kings using DaVinci Resolve’s 3D colour grading capabilities. It’s a short interview but definitely well worth a read. What tools inside DaVinci Resolve helped you accomplish this color grade? There’s a highlight adjustment tool in the Color Match function that was recently added which was extremely helpful on this movie. What it basically does is it allows you to suppress the highlights to an extent, preserving details while we’re brightening the picture to make it look appropriately bright for actors’ faces at 3.5 fL in 3D. Typically we grade in 3D at 3.5 fL and when you’re grading people, the key side of the actor’s faces is what needs to look good. 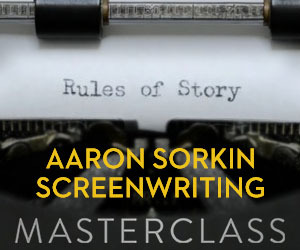 If you jump to 9.20 in this Moviola/Assimilate scratch webinar you can hear french colorist Jean-Michel Petit discuss his work on the low-budget feature film The Lunchbox and how he went about creating a non-Bollywood look that helped to support the film’s character development. It’s interesting to see him talk through some of the film’s challenging scenes. In this very personal Creative Mornings talk from Vancover based colorist Andrea Chlebak you can get a good sense of her journey into colour grading and her work on Elysium. Jump to about 16 minutes in for the more grading focused part of the talk and 20 minutes in for the Elysium breakdowns. For more from Andrea and a deeper look into the film’s VFX work check out this previous post. Shoot online has a fairly lengthy article that is half focused on MPC’s US Creative Director and colorist Mark Gethin and half a round up of a collection of various insights from colorists around the world. Gethin graded eight of 2014’s Superbowl spots, including Coca Cola’s “It’s beautiful” above and recently graded feature film The Hundred Foot Journey. If you’ve ever wondered what it’s like to grade a Hollywood blockbuster like Rush or a low-budget indie then this quick round up of further reading will have you covered. Coronation Street is the world’s longest running continuous TV series and recently employed Filmlight’s Baselight system. The video above is part of Filmlight’s case study on their ‘renderless’ workflow and demonstrates Baselights’s interoperability with Avid. Very nice article, did a bad color graded short film gave you the idea to make this article ? Hey Bea, I’ll try and find these videos – the Jean-Clement Soret ones seem to have vanished from the internet. I would recommend looking through the colour grading and DaVinci Resolve categories for more recent info.